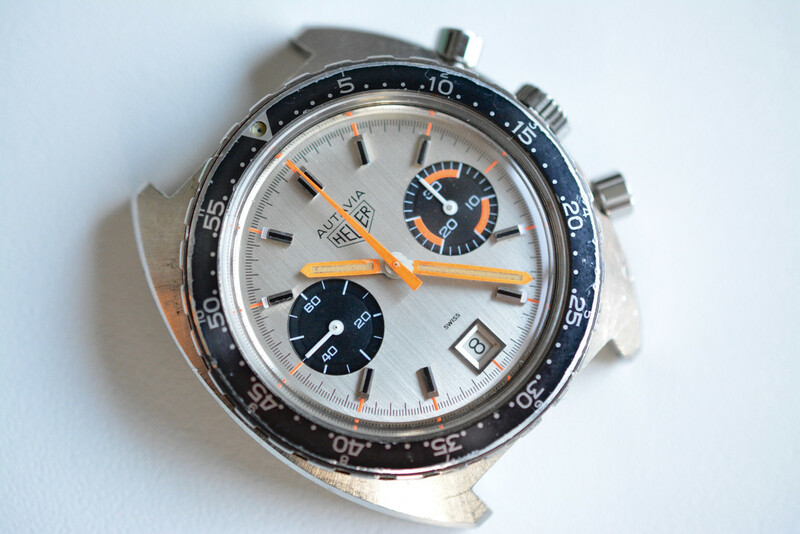 Selling this very honest Heuer Autavia 73463 silver dial. 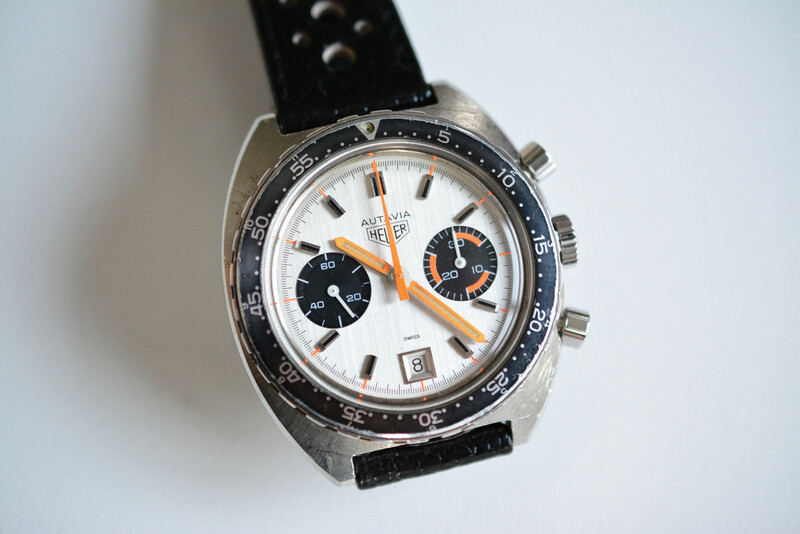 Watches don't always have to be mint to look incredibly cool. This is a good example. 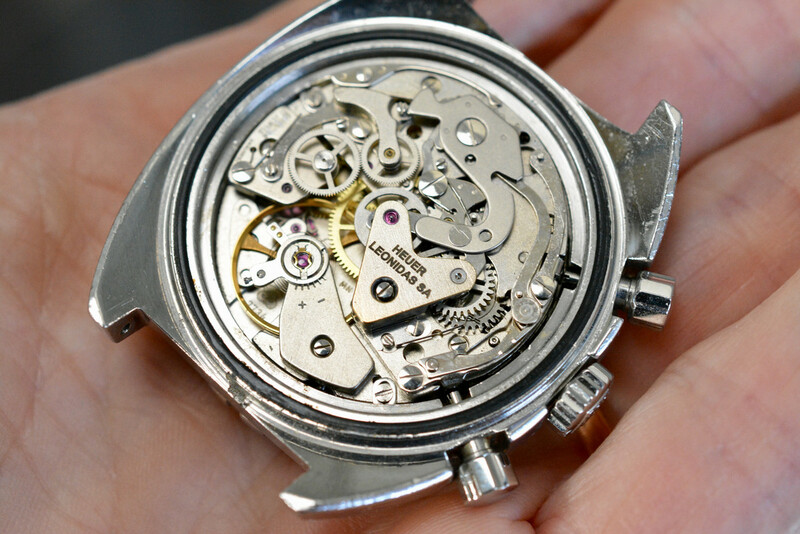 This watch is guaranteed 100% original and untouched. No case refurbishment, no relume, no repaint. All the parts (even the plexiglass ) are the original. Case has never been touched and though it has several superficial scratches and small nicks it still looks good and really sharp. 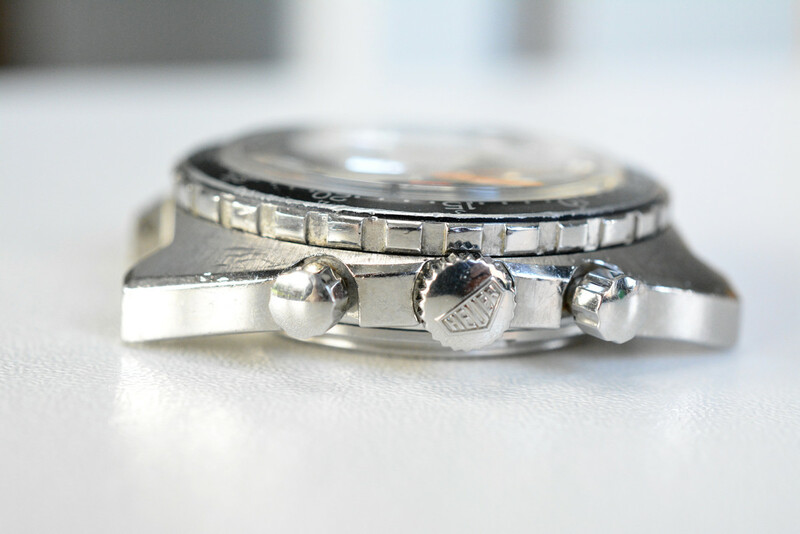 Original sunburst effect in the upper case is intact. Bear in mind that my pics magnify every small detail you will hardly see in real. 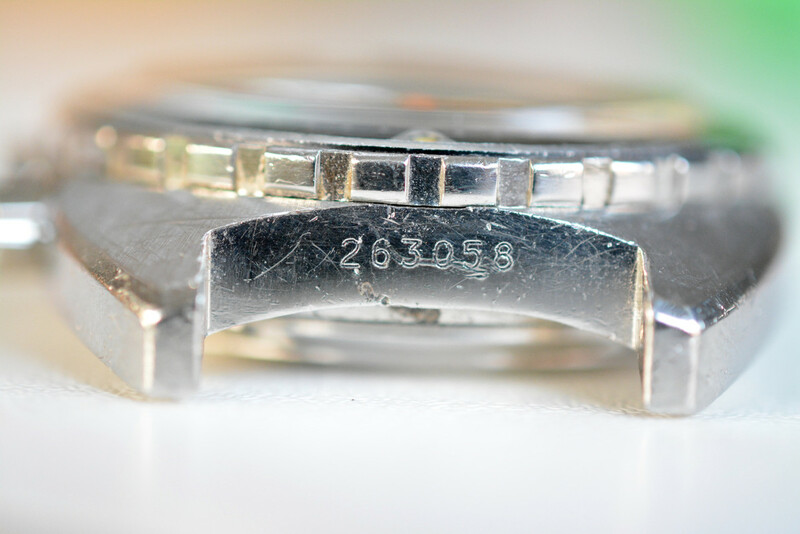 You'll notice some dirt on the upper case and the bezel. All that comes off. 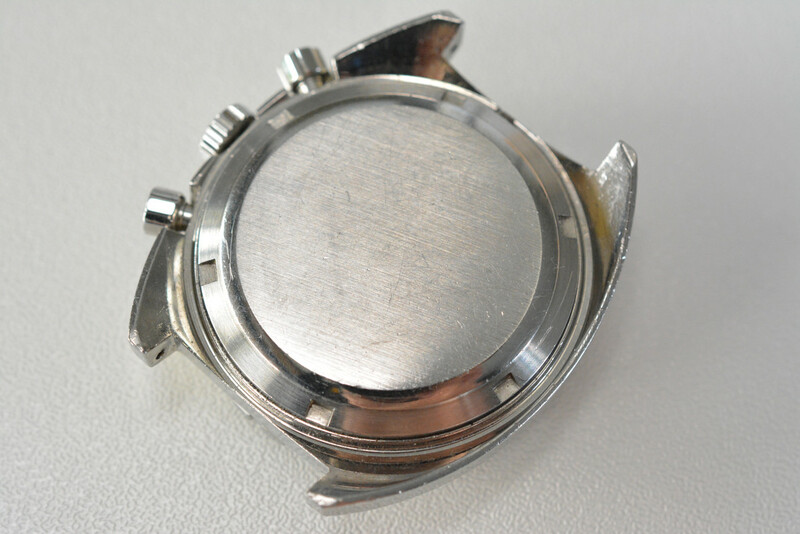 I just wanted to show the watch in the condition I bought it. It was only serviced and nothing else was done. 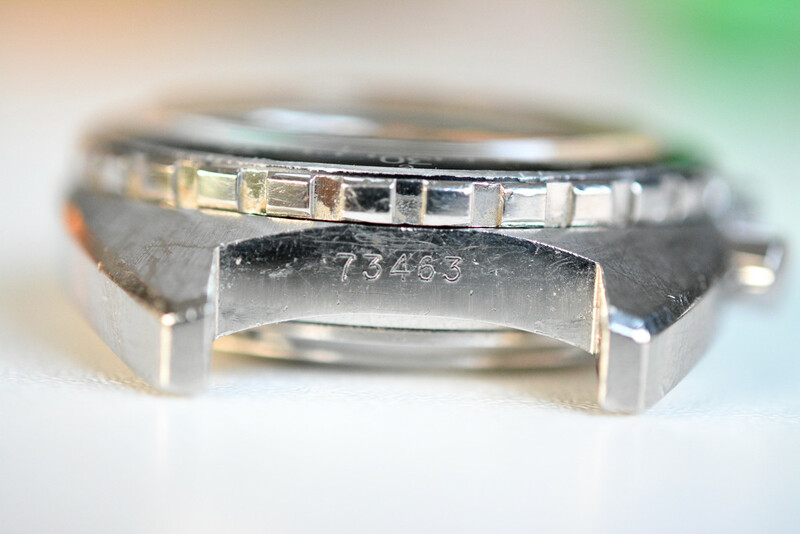 Both serial and model number between the lugs are perfectly visible. It's always like that with an untouched case. 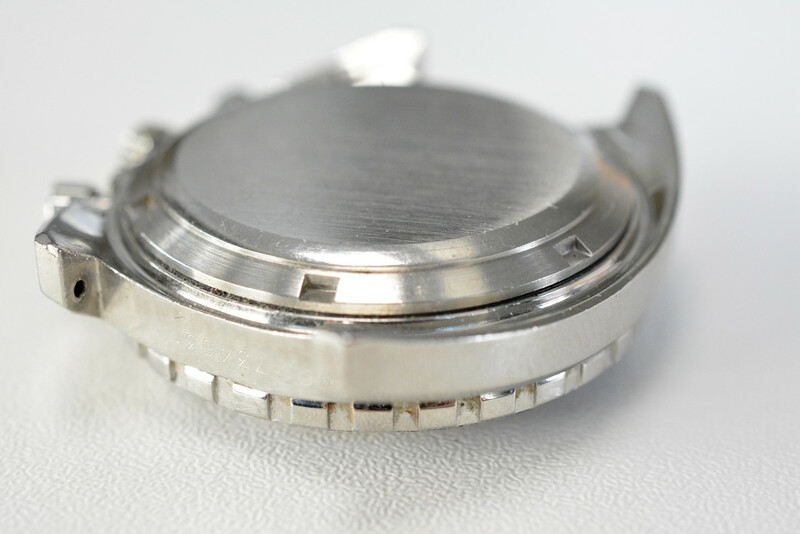 The dial is probably the best element on this watch. The metallic silver paint is 99% perfect. The orange accents super strong. As always it's impossible to capture this typical bright fluorescent orange on camera. So in real the color is even stronger. 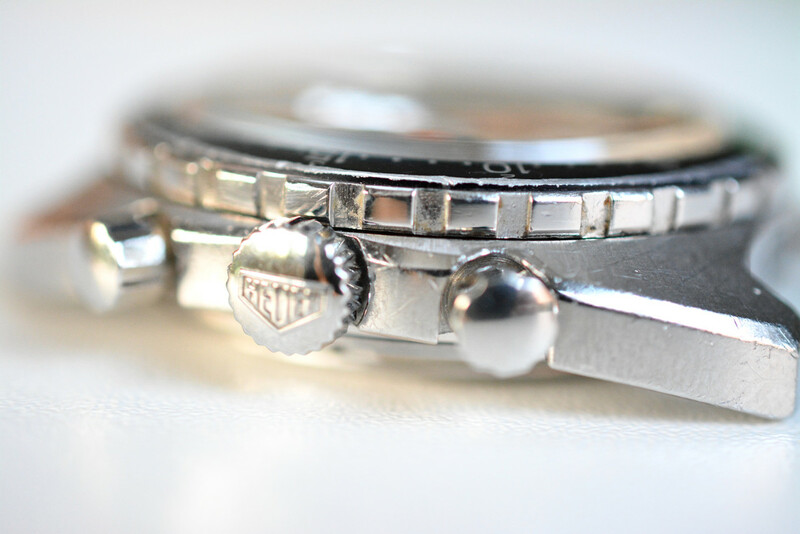 Hands have the original paint and tritium. They glow under UV light. 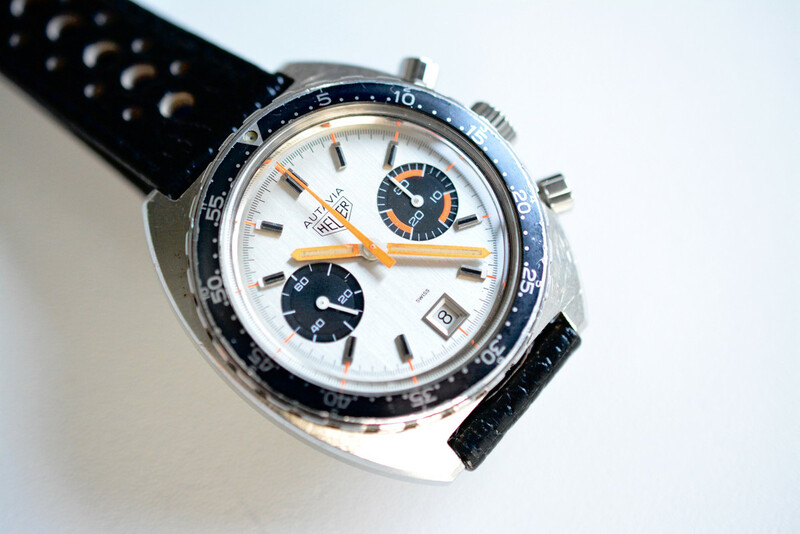 Please notice the total absence of lume on the hour markers. 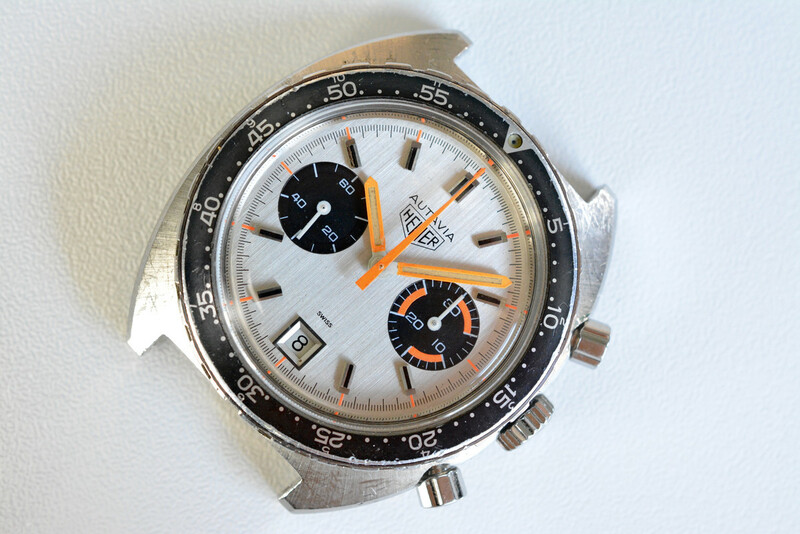 I have seen this often on silver dial Autavia's ( also on the 1563 silver dial ). Mechanically it's working absolutely perfect. Fully serviced and comes with a 12 month guarantee. Pushers super clean and making that crisp sound when pushed. 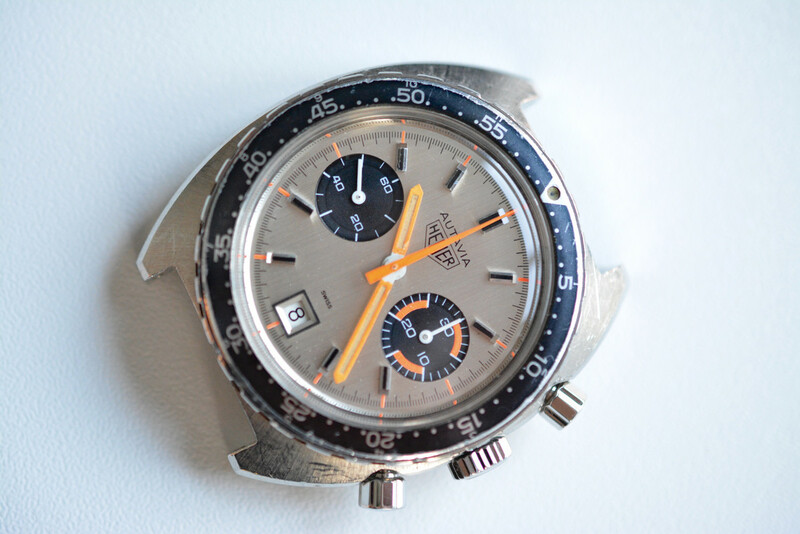 I am pricing the watch according to the overall condition and current market conditions. 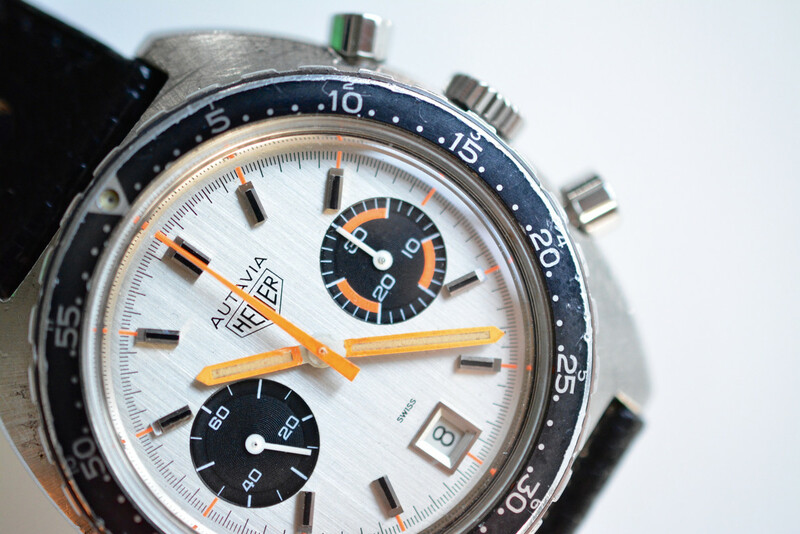 Bear in mind that this manual 73463 Autavia is really a rare watch.